Ecobank Tanzania has launched this Monday its Customer Service Week for 2015, with the bank’s senior management meeting with customers to enhance the operations in the country. 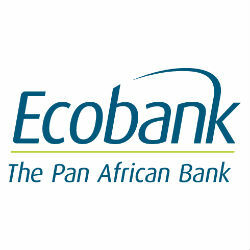 The event that will last until Friday 24th July 2015 is aimed at informing customers about other distribution channels they can access to save time, while matching the bank’s interests of migrating customers from branches to alternative platforms, explained Ecobank’s Head of Client Engagement management, Ms. Fatna Tambwe. Every decision ECOBANK takes is developed based on the customers’ needs, since they are the bank’s biggest asset, it is crucial for the bank success to keep them well served and happy, explained ECOBANK’s Head of Domestic Banking, Mrs. Joyce Malai. “It will also be an opportunity to gauge how customers want to be served so that we can tailor our services for them”, added Ms. Tambwe. The bank will also take this opportunity to teach customers how to take advantage of the services and products available, seeking a fully usage of them such as Ecobank MasterCard and e-products, SMS Banking, and Rapid Transfer among others.